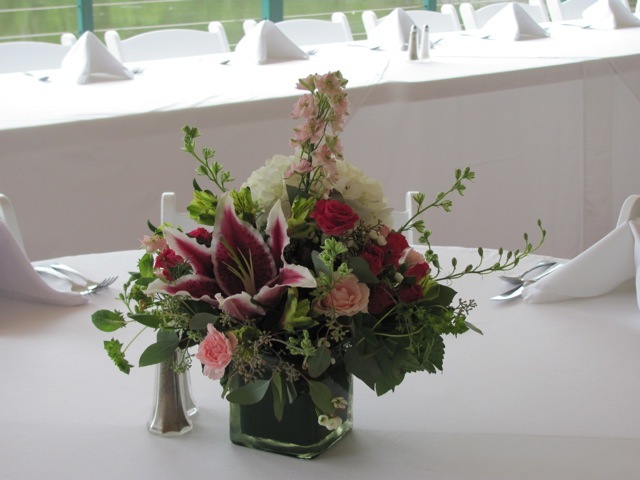 We did this lovely centerpiece for a wedding several months ago. It came out quite great and it really gave the white tables a great pop of color. This entry was posted on September 7, 2012, in Weddings. Bookmark the permalink.